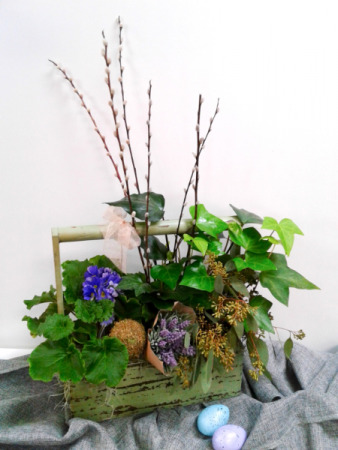 A Gardeners Toolbox Filled with Assorted Blooming and Green Plants, Spring Accents that will take your thoughts to the Garden. 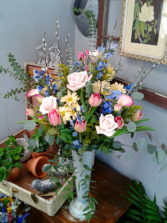 A Rhythm of Colors in a Fluted Metal Tall Vase Filled with Timeless Favorites from the Garden. 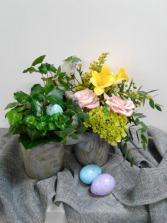 Double Blue Patina Finished Pots Filled with Lush Foilage and Spring Fresh Blooms.